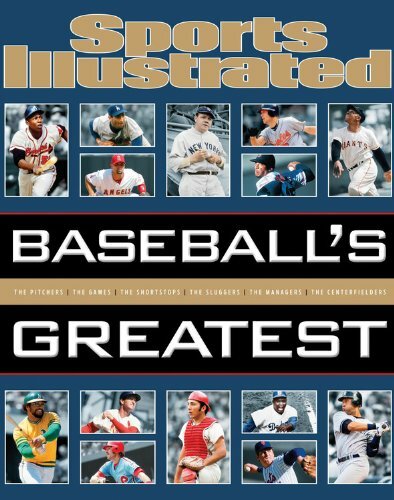 I first began subscribing to Sports Illustrated in late 1971, as a 12-year-old Indiana boy coming into his own awareness of major sports, immersive fan passion and respect for sports journalism. It began with two college covers: “Irresistible Oklahaoma Meets Immovable Nebraska” (football) and North Carolina State’s 7-4 Tom Burleson (hoops preview). I would always think of S.I. from then on as all-sports, and still do. 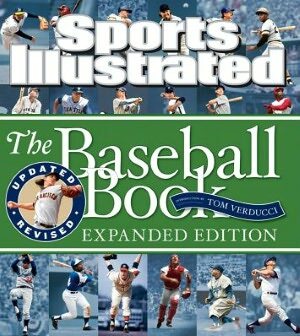 This came to mind because I am flipping through the oversized pages of SI.’s fabulous The Baseball Book Expanded Edition ($29.95 hardcover) — with 80 pages of updated material to modernize the NYT bestseller of five years ago. It’s funny: After looking through all the photos and essays, what shakes me up the most is the page opposite the Contents, showing 14 S.I. baseball covers through the ages. It puts you in relive mode and I love that. No matter how old you are, pages will shatter your present-day calm and reshape your mindset with a flood of memories. If you’re in your 50s, it might be a double-truck image of Boog Powell hitting the dirt after a brushback pitch, or a classic intensity pose by Don Drysdale on the mound. If you’re a young-un now, it might be the sight of Derek Jeter performing his jump-throw in a 1999 action shot — knowing he was leading the Bombers to four titles in his first five years. The past always meets the present throughout the book. My favorite shot is the page 166 double-truck of an exhausted Bob Gibson walking off the mound with an arm around his catcher, Tim McCarver, following Gibson’s complete-game victory over the Yankees in Game 7 of the 1964 World Series. I spent 15 minutes just staring at this image. It is a reminder that nothing really ever changes about baseball, except the people and to some extent the styles.